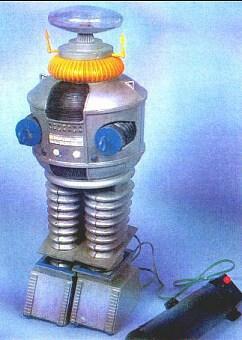 I am in search of this very rare vintage Lost in Space Robot. 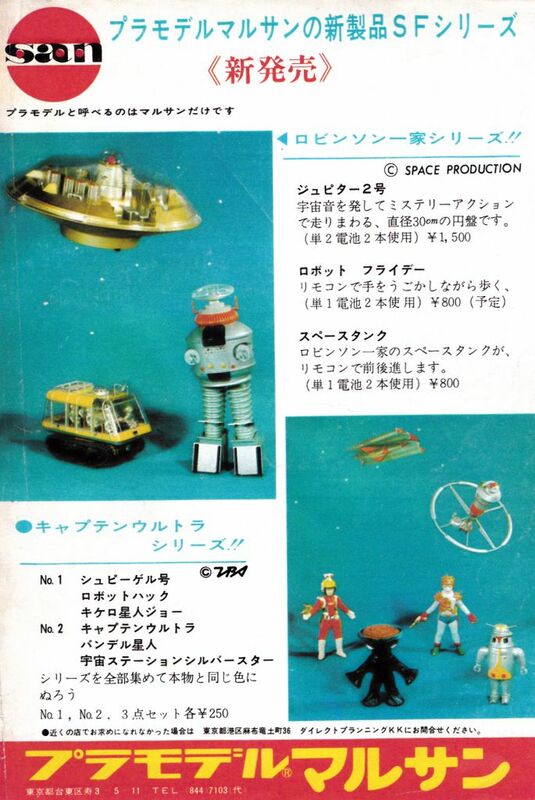 This vintage item was made in Japan in 1966, and only several photos showcase this prize treasure. As to it's partner the Japanese Chariot, it is remote controlled on a battery cable box. If you have one of these, and would like to sell or perhaps trade something for it, please contact me. 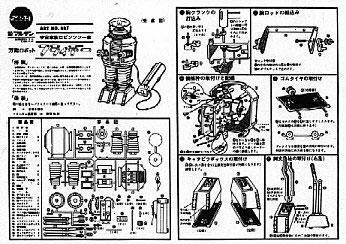 This scare toy was produced by Marusan, and as of this posting nobody has ever seen one? I have been collecting for over 10 years, and as of yet, never seen one personally. Several months ago, I received an e-mail from a fellow collector, that one was located in storage. As of yet, I am still waiting/hoping that I can atleast obtain photos for our website for everyone's enjoyment. I will keep everyone posted on any updates if I hear of anything regarding this topic. 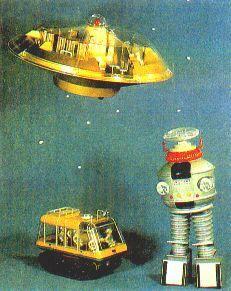 Actor Bob May told me that he owns one of these in his collection. 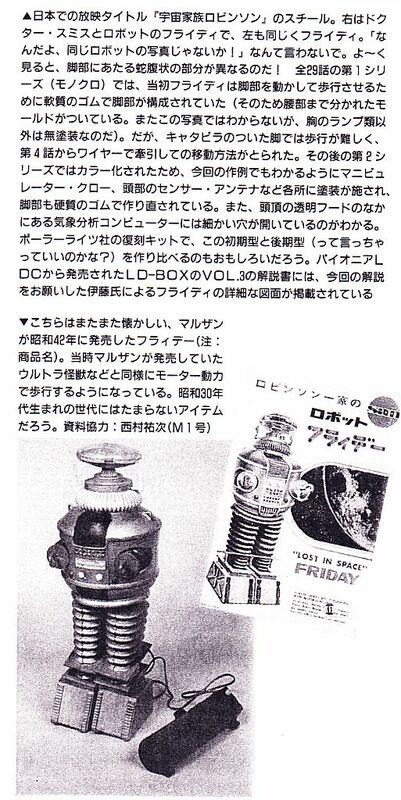 If this was so, why wouldn't Bob showcase this item on his "Robot Memories Video #2"? This is probably the rarest of all Lost in Space items to obtain!